Nowadays a damaged radiator hose isn't as obvious as it used to be by the appearance of bulges or cracking. The primary cause of coolant hose failure is an electrochemical attack on the rubber tube compound in the hose which goes unseen without giving the hose a good squeeze. 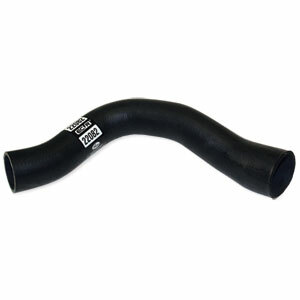 Get a GATES 22082 lower radiator hose for '94-'02 Dodge Turbo Diesel trucks which offers improved performance characteristics over standard rubber radiator hoses.